Provide comfort for the family of Charles Parker with a meaningful gesture of sympathy. 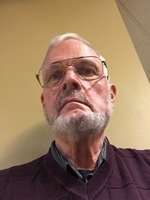 Charles “Chuck” T. Parker, II, 75, of Mechanicsburg, passed away on Friday December 28, 2018 at UPMC Pinnacle Harrisburg Hospital. Born on October 16, 1943 in Danville, PA, he was the son of the late Charles T. and Lyle (Billig) Parker. Chuck was a graduate of Camp Hill High School and went on to receive his Bachelors’ degree from Elizabethtown College. He was a retired supervisor with PMSLIC in Mechanicsburg. Chuck loved gardening, reading and traveling with his wife to Cape May New Jersey for vacations. He is survived by his wife of 41 years, Jacqueline (Shissler) Parker, of Mechanicsburg; a daughter, Susan Parker, of New Hampshire; a son, John Parker, of Halifax; five grandchildren, Tina Proudfoot, Brittnay Parker, Keaton Parker, Toni Parker, and Hunter Boening; and three great-grandchildren. A celebration of Chuck’s life will be held at 12:15 P.M. Wednesday January 2, 2019 in the Chapel of Peace, located on the grounds of Rolling Green Cemetery, 1811 Carlisle Rd., Camp Hill, PA. Myers-Harner Funeral & Cremation Services, Camp Hill, has been entrusted with funeral arrangements. 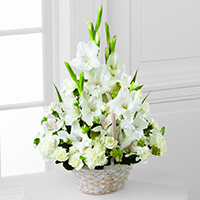 To send flowers in memory of Charles T. "Chuck" Parker, please visit our Heartfelt Sympathies Store. The service will be held in the Chapel of Peace which is on the grounds of the cemetery. Leroy, Maura and the kids sent flowers to the family of Charles T. "Chuck" Parker. So sorry for your loss. The Bible is very clear when it says that soon sickness and death will be no more. Please read Isaiah 33:24 and Revelation 21:4 in the Scriptures. Leroy, Maura and the kids purchased the The FTD Eternal Affection Arrangement for the family of Charles Parker. Jackie,i am so sorry to hear that Chuck had passed away. Phyllis and I just began to know you two when you moved. We hated to see you go. I remember Chuck as being quite a personal type of guy with a ready smile.I liked to make him laugh. Really appreciated you thinking of me when Phyllis passed..but that is the kind of people you are. If i can help...just call.